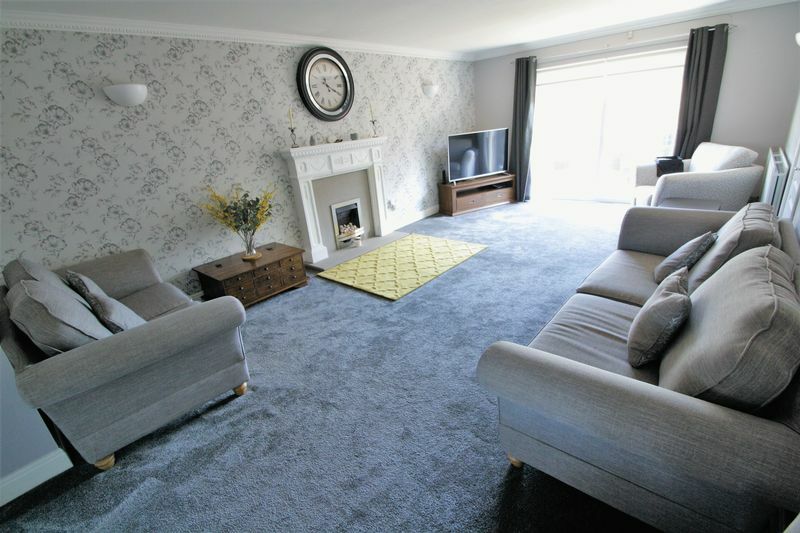 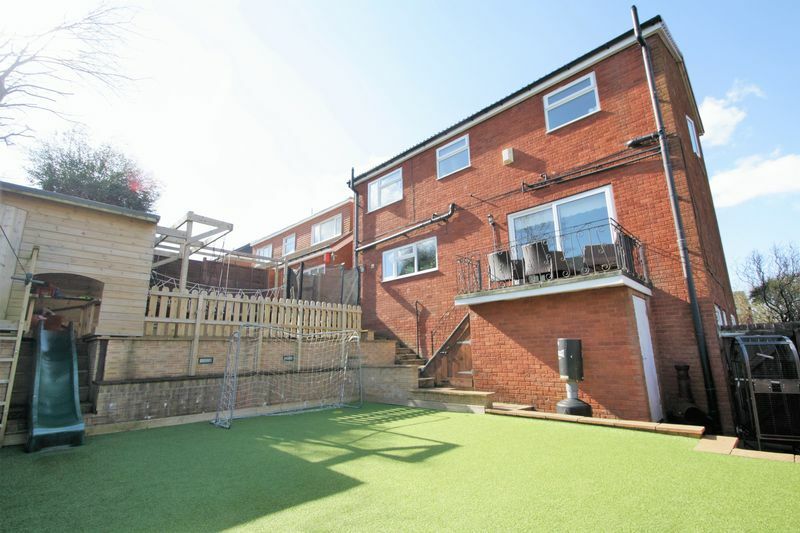 A SUBSTANTIAL FIVE BEDROOMED DETACHED HOUSE with many features and benefits which include a SELF CONTAINED ANNEX, a large lounge with doors leading to a BALCONY/TERRACE and an integral garage which is currently utilised as a PLAYROOM/GAMES ROOM. 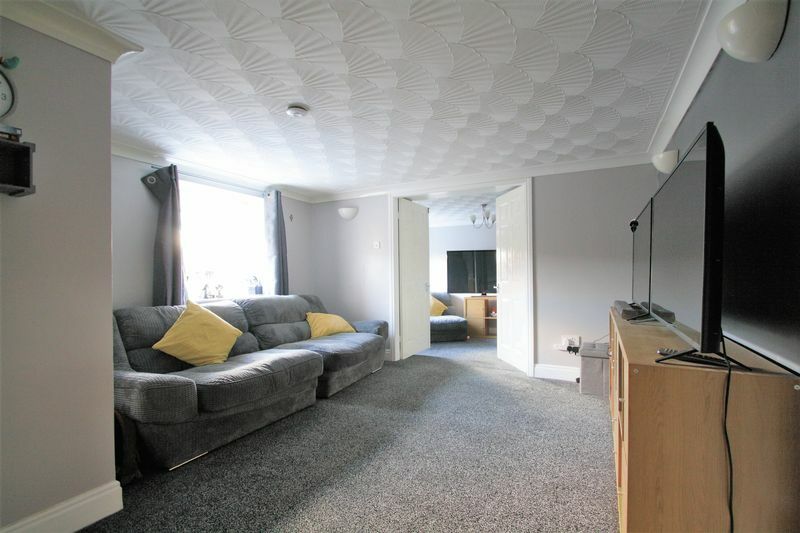 Further accommodation includes a good sized kitchen/diner, UTILITY ROOM and GROUND FLOOR W/C. 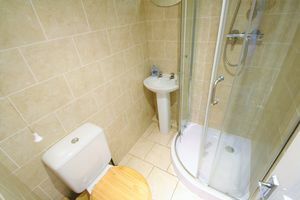 To the first floor are 5 Bedrooms, two EN-SUITES and a family bathroom. Externally is a lawned garden to the front and parking is available on the block paved driveway. 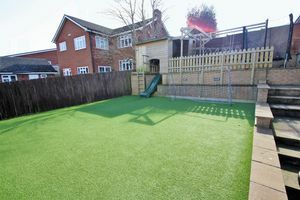 The rear garden offers a fabulous CHILDREN'S PLAY AREA . 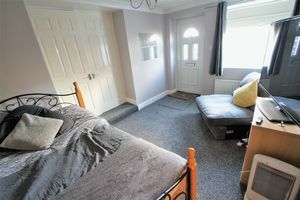 The annex will appeal to a buyer who is looking for separate living space for teenagers or independent living for a mature relative. Viewings are recommended to appreciate this impressive and versatile family home. uPVC Double glazed entrance door, double radiator, Karndean flooring, coving, staircase leading to the first floor, door leading to the garage. uPVC Double glazed window to the rear, modern stainless steel gas fire with decorative surround, marble back and heath, coving, double radiator, door leading to the kitchen and sliding doors providing access to the balcony overlooking the rear garden and adjoining fields. 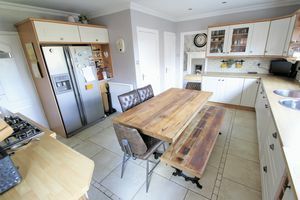 Fitted with a range of beech effect base, wall and drawer units, breakfast bar, dark grey marble effect work surface incorporating a double stainless steel sink unit with drainer and mixer tap, tiled splash backs, built in stainless steel double electric eye level oven and microwave, stainless steel 6 ring gas burning hob, stainless steel splash back and extractor hood, integrated dishwasher, space for a freestanding fridge / freezer, recessed ceiling spotlights, double radiator, staircase leading down to the annex / flat, door leading to the utility room, uPVC Double glazed window to the rear, uPVC Double glazed door leading to the rear garden. 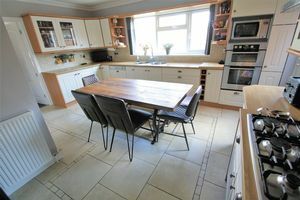 Fitted with beech effect base, and drawer units, dark grey marble effect work surface and plumbing for a washing machine, storage cupboard. Fitted with a white suite comprising W/C and wash hand basin with pedestal, coving, recessed ceiling spotlights, radiator, tiled flooring. 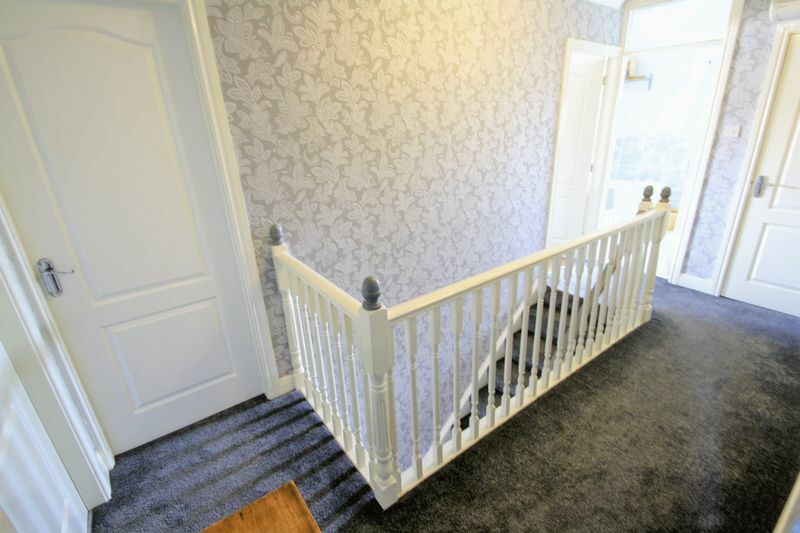 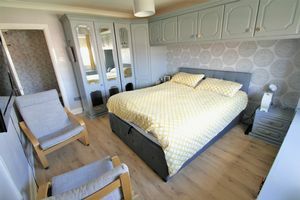 Access to bedrooms and family bathroom, built in storage cupboard, coving, air conditioning unit, access to partially boarded loft space via pull down ladder. uPVC Double glazed window to the side, fitted with a range of built in wardrobes and a dressing table, radiator, laminate flooring, coving. 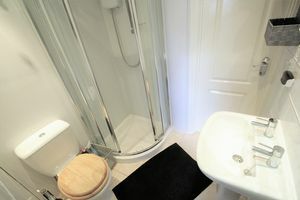 Fitted with a white suite comprising of double shower cubicle and drying area, wash hand basin with pedestal, W/C, recessed ceiling spotlights, coving, fully tiled walls. 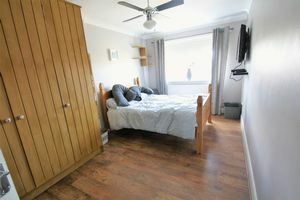 uPVC Double glazed window to the rear, built in wardrobes, radiator, coving, access to en-suite that is shared with bedroom 3. 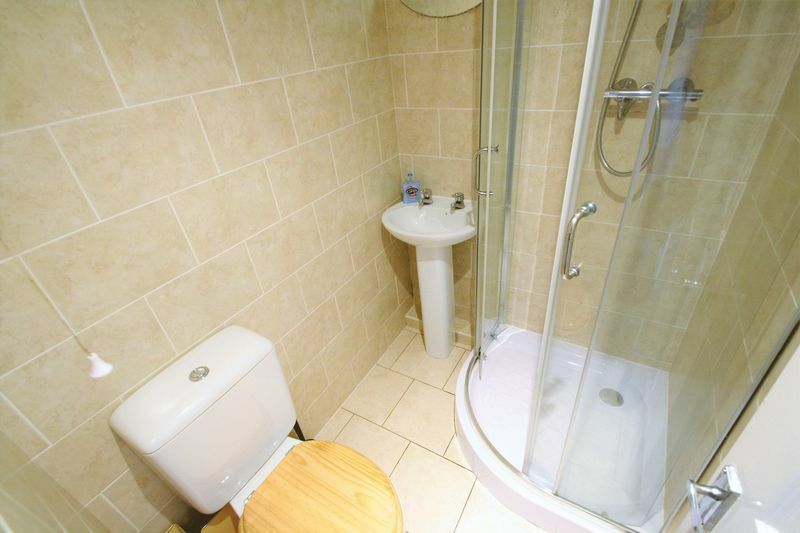 W/C, wash hand basin, shower cubicle, radiator. uPVC Double glazed window to the front, built in wardrobes, radiator, laminate flooring, coving, access to en-suite that is shared with bedroom 2.
uPVC Double glazed window to the front, laminate flooring, coving, radiator. uPVC Double glazed window to the front, coving, radiator, large deep walk in wardrobe. 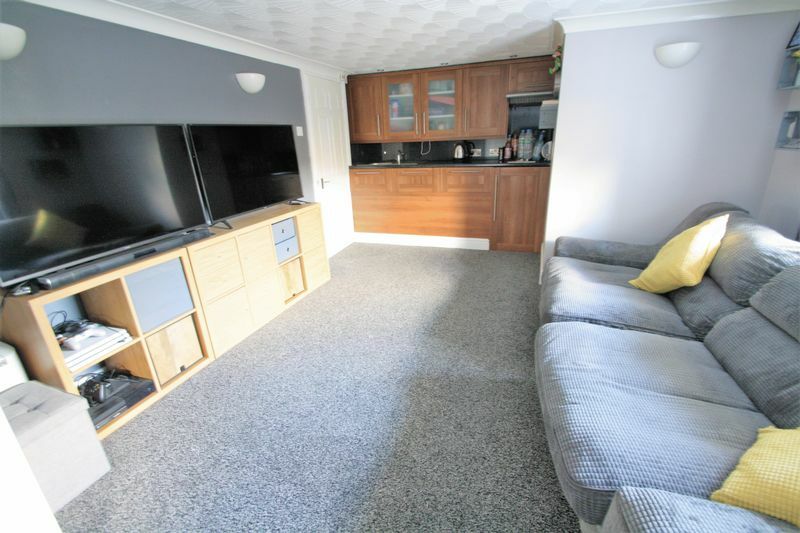 Fitted with a white suite comprising of bath, wash hand basin with pedestal, W/C, double walk in shower cubicle, double radiator, recessed ceiling spotlights, fully tiled walls, uPVC Double glazed window to the rear. uPVC Double glazed window to the side. 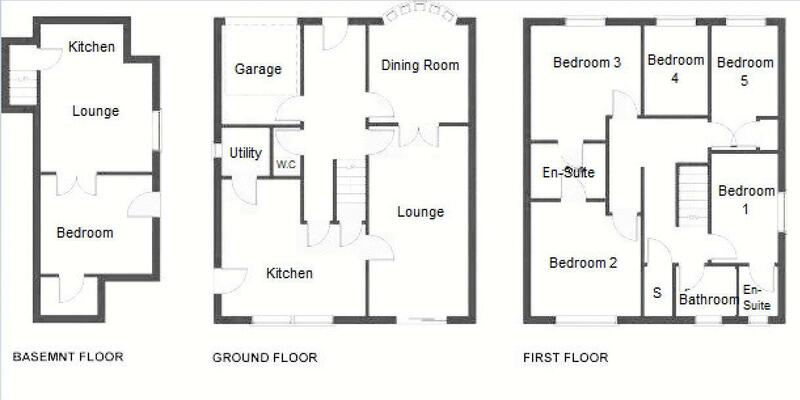 Accessible via staircase leading from the main kitchen, recessed ceiling spotlights, door leading to the lounge from the annex/flat. 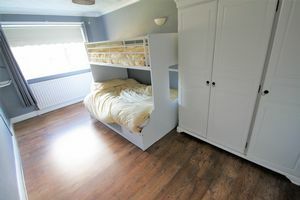 Large built in deep storage cupboard, double radiator, coving, double doors leading through to the bedroom. 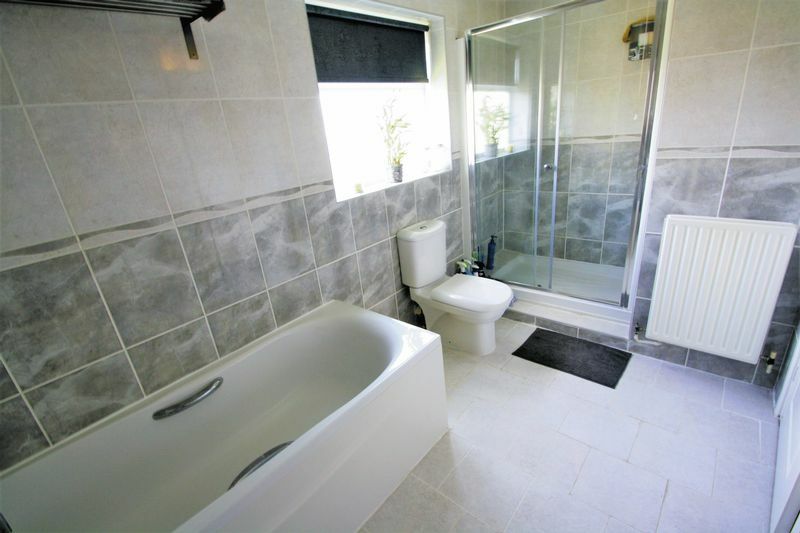 uPVC Double glazed window to the side, radiator, coving, door leading to the en-suite bathroom, uPVC Double glazed door leading to the side of the property. To the front of the property is a generous driveway, garden mainly laid to lawn, single attached garage / playroom. 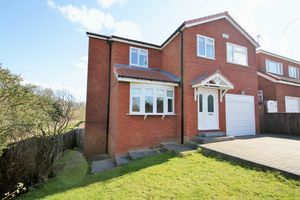 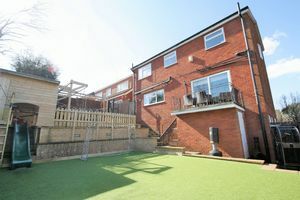 To the rear of the property there is a generous size enclosed rear garden area which is on two levels with artificial lawn, Large garden shed, Children's play area. 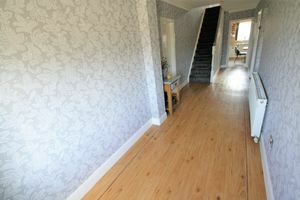 The energy efficiency rating of this property is D. The full EPC report is available upon request.